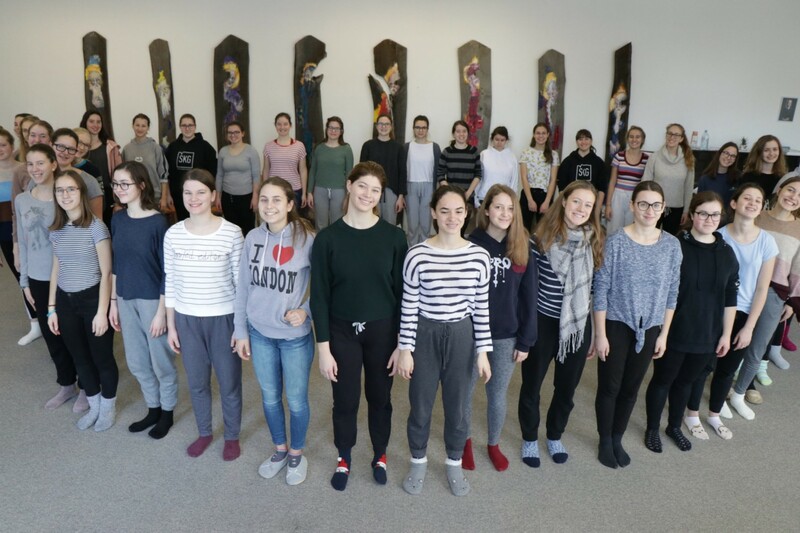 As the only European choir St Stanislav Girls’ Choir of The Diocesan Classical Gymnasium is close to setting off in February to perform at 2019 American Choral Directors Association in Missury, USA. As the biggest and most important tour of the choir is getting closer and not all songs have yet been shaped to perfection, we had a weekend of intensive choir practice in Ilirska Bistrica. Musically speaking, it was a very productive weekend. Our conductor Helena Fojkar Zupančič introduced a few new techniques that really helped us and we made great improvement. But it was not only a weekend of singing 24 hours a day, it was also a weekend spent with friends we had made in the choir. If you ask me, positive energy plays a big role in the success of our choir. Singing in such an amazing choir that teaches us not only to sing but also to be disciplined and work in a larger group is a privilege. Singing in front of international audience in foreign countries is an even greater privilege and for that we are infinitely thankful. Even if it is often hard and tiring, we know that our work will be rewarded.